In this month’s update for Ingress, we have added 7 new features for Ingress users. 1. Record and display card ID of loss/stolen card for individual employee. In case your employee lost his/her card (or stolen), you can record the previous card number as Lost/Stolen Card under his/her profile (under Card tab). The software will alert the administrator (under Monitoring mode) if someone waves this lost card at any devices. To report Lost/Stolen Card, you can go into individual profile à Card tab à Edit à Add à Insert the information to save as record. You can record the leave taken by employee in hours for example Emergency leave in 4 hours. 3. Select dedicated devices to capture in-out records to mark attendance. You can assign devices to capture employees’ in-out records to mark their attendance. For example, you can configure the device installed at front door to capture records as In time only. Records from other devices will not treated as In even employees are on time. 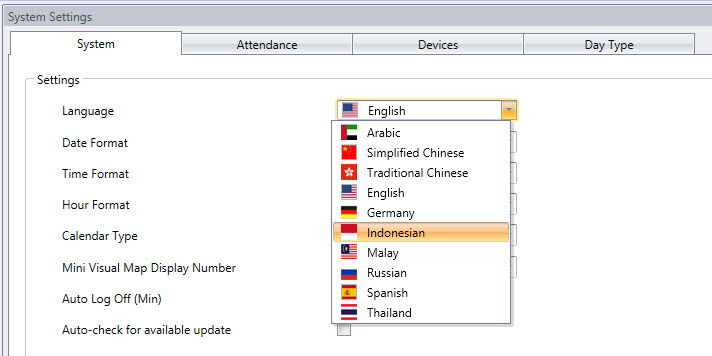 This feature forces employees to report attendance at specific devices to suit their working environment. In case he/she reports attendance at the wrong devices, Ingress ignores the records. 4. New "Reset Access Right" button to reset Time Zone and Group Time Zone settings for all employee to Full Access. 5. New "Fire Roll Call" report to provide name list of employees still inside the building. The Fire Roll Call report displays the names of employees who remain inside the building during emergencies. Ingress recognises the Entry device (as configured under Entry Device) and it takes another device (exit device) as Emergency Exit device. In case of an emergency, employees verify their departure at the Exit device to unlock door in order to leave the area. Ingress captures his/her record and treats he/she as leaving the area. For those who have yet to verify their departure from the emergency area, his/her name will display on the Fire Roll Call report. 6. New "Reset or Retrieve Password" feature. 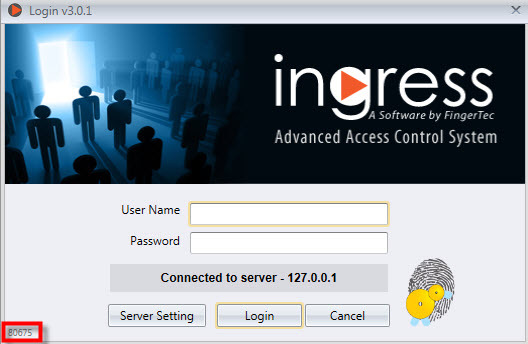 In any case that you have forgotten your Ingress admin login password, provide us the 5 digit number at the bottom left of the login screen and we will provide you a temporary password.